"What is the good of writing beautiful things about suffering? ...It means nothing, nothing! When you are going through it, then you know the worthlessness of all this eloquence." "O how happy I am to be in pain", confides St Thérèse to her diary in the last year of her short life. "My every spasm brings me closer to my beloved Saviour". 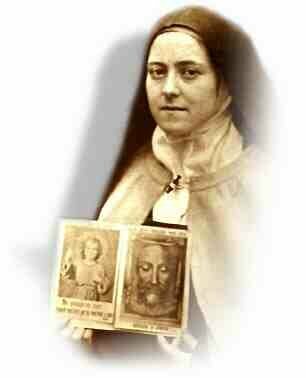 Unfortunately, suffering at its worst defeats all rationalisation; and for Sainte Thérèse de l'Enfant-Jésus et de la Sainte Face ("Saint Thérèse of the Child Jesus and of the Holy Face"), its horrors were sometime too much to bear.